Toyota Verblitz and Kobe Kobelco Steelers are set to meet in the Japan Rugby Top League semifinals following two contrasting quarterfinals on Sunday. Clinton Swart scored a try, created two more, and kicked four penalties along with two conversions, as Jake White's Toyota ran out 31-27 winners against Robbie Deans' Panasonic Wild Knights at Kumagaya Rugby Stadium. 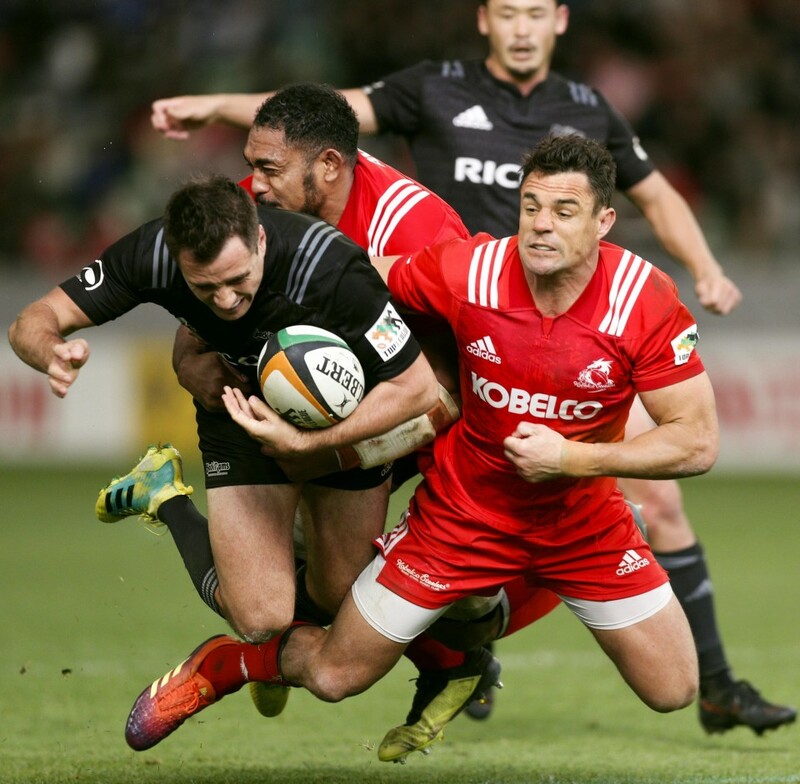 Meanwhile, another coaching great, Wayne Smith, in his role as the Steelers' director of rugby, watched on at Kobe's Noevir Stadium as Dan Carter gave an imperious display to help the hosts down Ricoh Black Rams 63-27. The three-time World Player of the Year scored two tries and kicked six conversions and two penalty goals, while Fraser Anderson bagged a hat-trick of tries as the Steelers remained on track to end a title drought lasting since they won in the inaugural 2003-2004 season. The other championship semifinal will see Suntory Sungoliath take on Yamaha Jubilo, following their victories on Saturday. In the quarterfinals to determine ninth to 16th place, Toshiba Brave Lupus beat Hino Red Dolphins 48-26 and Canon Eagles defeated Toyota Industries Shutles 51-17. The championship semifinals will be played on Dec. 8 with the final round of games to determine all the positions set for Dec. 15. At the newly refurbished Kumagaya stadium, two early penalties from Swart were just reward for Toyota's bright start in which they dominated possession and territory. But the Wild Knights slowly started to even things up in the possession stakes and Rikiya Matsuda finally got them on the scoreboard in the 21st minute with a penalty, having missed two earlier shots at goal. Ten minutes later, Takumi Mikami was pushed over the line to give Panasonic the lead as the Verblitz defense became the first to crack. Swart closed the gap to a point with a third penalty. But a five-pointer from Digby Ioane saw the Wild Knights stretch their lead to 15-9 at halftime. Verblitz, however, hit back straight after the break with Jason Jenkins and Yuki Okada both finishing off good breaks by Swart, as the momentum seemed to shift Toyota's way. The Wild Knights responded through Kenki Fukuoka to make it 22-21 with half-an-hour remaining. But that just fired up Verblitz and Swart, and the big South African center powered his way to the line and then added the extras to his own try as the lead once again changed hands. A fourth penalty from Swart put nine points between the two teams with seven minutes left on the clock. Despite a late try from Taiki Koyama, the margin proved too much for Panasonic, who will finish outside the top four for the time since the 2006-2007 season.